It’s official — I am going to Taipei in two weeks! I am so excited just thinking that I’ll be seeing Taipei in two weeks time. Honestly, I really had a hard time researching for tips on getting a visa for Taiwan. Unlike other countries like South Korea and Japan, there aren’t a lot of blogs or forums discussing guidelines for a hassle-free, nervous breakdown-free application for Taiwan visa. 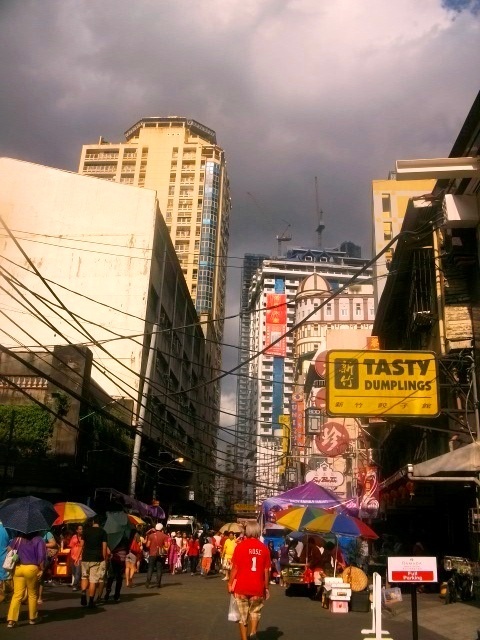 As a way of giving back and in recognition of the blogs and forums (at PEx) who shared how to go about the visa application process, I am posting what I did when I applied for a tourist visa last Monday. (NOTE that I am writing this on a Thursday, hence it only took me three days to know my fate). 1. 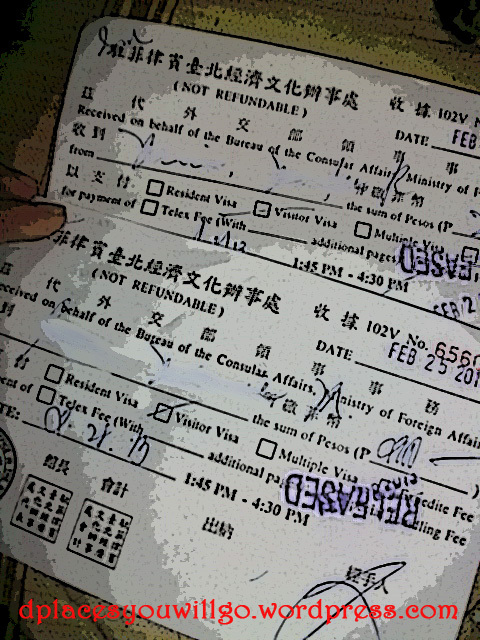 An online Visa Application Form – please note that as of April 2012, the Taiwan Economic and Cultural Office (TECO) of Manila no longer accepts handwritten application forms. Please access the system-generated forms at https://visawebapp.boca.gov.tw. Fill up the forms and print it on A4 paper after. Please avoid leaving spaces blank, for questions that does not apply to you, write N/A. 2. 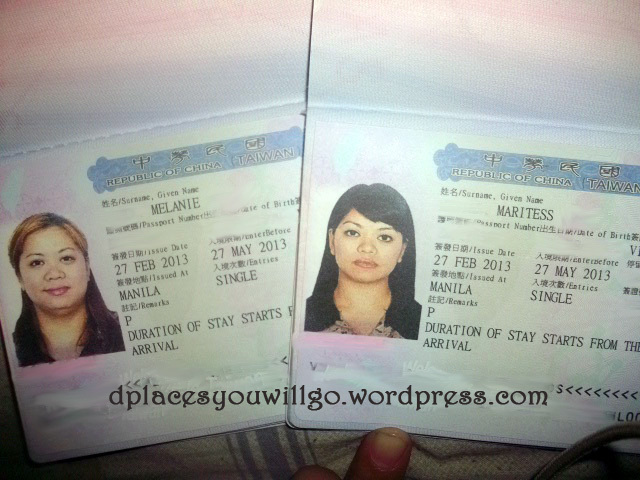 Two (2) passport size photos 1.5”x2” with white background – should be taken within the last three months. PHP100 for a copy of the certificate. These are the exact documents that I prepared during the course prior to submitting my application last Monday. Make sure that you have completed all these documents. Prepare a photo copy. I read somewhere that having complete authentic documents is winning half the battle. I highlighted authentic to emphasize and plea that if for some reason some of these documents are hard to procure, please resist the urge to submit a fake or tampered one. 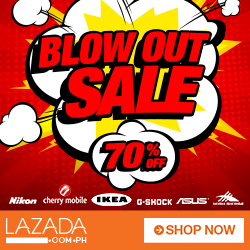 Please save yourself and your kababayans the embarrassment that may arise out of a doctored-Employment Certificate. For the Online Visa Application form, take note of your application number. If for some reason you made a mistake, don’t be afraid to start again. I made a mistake twice, first was when I entered the wrong return date (TPE-MNL) and the second one was when I forgot to tick the “married” box. What I did was to start all over again and just disregard my previous application. I got a new application number and printed the correct form. Whatever you do, resist the urge to write on your printed form. Step 2: Affix your passport-sized photo on the printed form using a glue. 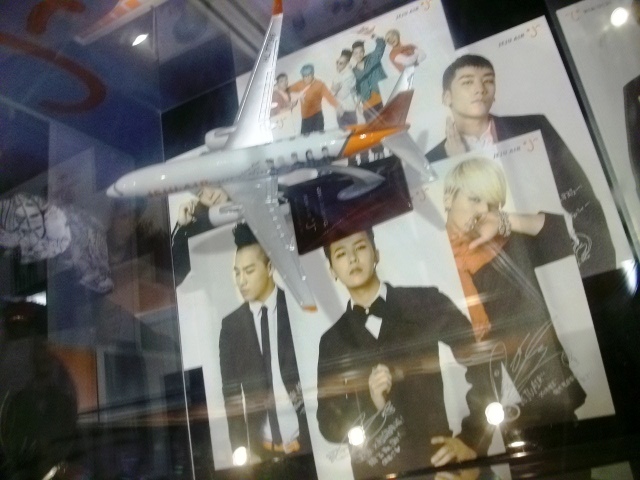 Since you will need two copies of the photo, you may attach the other one using a paper clip. 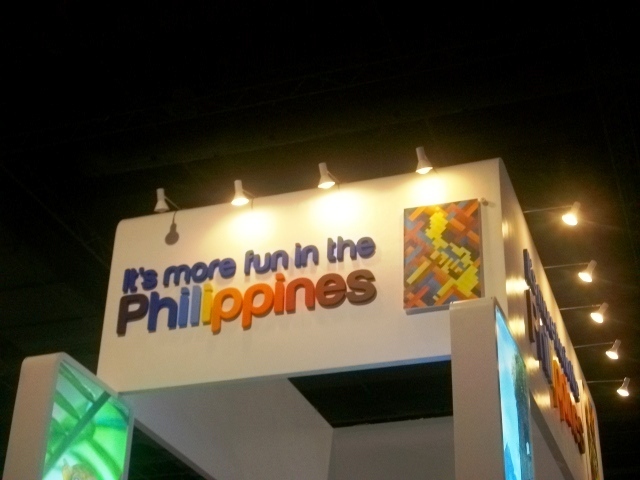 Step 3: When all of these are complete, head to the Taiwan Economic and Cultural Office (TECO) located at the 41st floor of the RCBC Plaza in Ayala, Makati (in front of Makati Medical Center). This is the tower nearest the museum. Surrender a valid government issued ID at the reception desk (they do not accept company IDs) and they will give you a slip of paper indicating your number then ask you to go up the 41st floor. Step 4: Wait for your number to be called. Service is fast but this depends on the number of people present. Note that there are a lot of agencies rep there applying for tourist or OFW visas so service may be fast or slow, depending on this. When your number is called, approach the counter and submit your completed documents. And if your documents are complete, I can assure you that transaction is as fast as paying your electricity bill. We were in front of the counter for 10 minutes tops. The consul may or may not interview you, depending on the purpose of your travel. In our case, we were not interviewed. The consuls can speak Tagalog so they can definitely understand your answers should they have any questions for you. Step 7: Go back on the date indicated in the receipt, and repeat the process: leave a government-issued ID at the reception, get a number and wait for it to be called during the passport release. I need to fix my rooooots! Note that passport application is every morning: 9:45 to 11:45 while passport releasing is done every afternoon, 2PM to 4PM. Honestly, the process is easy and very simple. I guess the only hard part during visa issuance is completing the documents, but as soon as you went past that – it’s very easy and manageable. If you have spare time, why don’t you do it yourself? No need to hire a travel agency and pay extra bucks for a service you can do yourself. A cousin of mine is preparing for their first trip to Hong Kong and has been asking for my help in preparing for the trip. First, she wanted to get a travel agency and pass the planning and all the little details of traveling to a third party. Then after doing a bit of computation, she decided to ditch the agency and do the trip on her own. So which is better? Get an agency? Or do it on your own? First, a disclosure. I never bothered getting an agency in all my travels and I have a feeling that it’s someone whose services I won’t be needing for a long time. Yes, I toyed with the idea of getting a travel agency way back 2008 when the siblings and I decided to go to Hong Kong on a last hurrah prior to me tying the knot. But after repeated negotiations, the initial small amount ballooned to a few more thousand bucks. Fed up, I terminated the agreement and decided to do the planning on my own. Personally, I think getting a travel agency is a case-to-case basis. If you plan on going to a country who doesn’t require much arrangement and is just a skip, a hop or a jump away from this great country of ours, do yourself a favor and dispense with the agency. You might be surprised of the things you’ll learn researching about the country and the trip itself. If you are going to Singapore, Hong Kong, Macau, Malaysia or even Bangkok — countries that are very easy to navigate (provided you have enough info and good research in your hands), surprise yourself and plan the trip yourself. If the trip is not complicated, you have access to the internet and a keen sense of adventure, just do the itinerary and location-hunting on your own. Personally, it’s one of the best things when it comes to traveling. Getting lost, discovering hole-in-the-wall eatery and bonding with family and friends just getting a lost and having fun. I am a believer that while it’s fun to do research and plan a trip ahead — it should also be a balance of enjoying the sights at a leisurely pace. You wouldn’t want to feel like you are a contestant of The Amazing Race right? Shuffling from one place to another, barely enjoying the sights. If you’re like me who’s perpetually on a budget, then better do away with the agency. Getting a travel agency does not come cheap and services usually come with a lot of caveat/exclusions save for the hotel, transfers and compulsory city tours that will bring you to jewelry centres, floating markets and other factories. Also note that you will have to pay for your travel guide’s gratuity, which is usually exempted from the usual fees you pay from the agency. However, note that getting a travel agency has a lot of perks. First, if your itinerary involves a cross-country crossing, or multiple countries in one trip, then get an agency. You will need the expertise and advice of a travel agent who will help you negotiate rates, find hotels and ensure that your crossing from one country to another is as seamless as possible. Second, having an agency means that there’s someone who will look out for you – this includes having your insurance in order, having someone to take care of cancellations and changed dates and basically deal with all the nitty-gritty of travel. Third, obviously having an agency saves you time. Time not spent researching for one place to another, or having transportation arranged for you as you try to navigate a country. Which ever way you go, getting a travel agency really depends according to your comfort level, and of course, the money you have in the bank. If you’d rather not break a sweat and you have the moolah to burn, then go with having professional help as you travel. Well, as for my cousin, she ended up DIYing the trip — with the big probability that I’ll be coaching her and one of her kids prior to their trip (same date as our Taipei trip). She already booked City Econo Guesthouse, the same hostel where my family and I stayed last October. 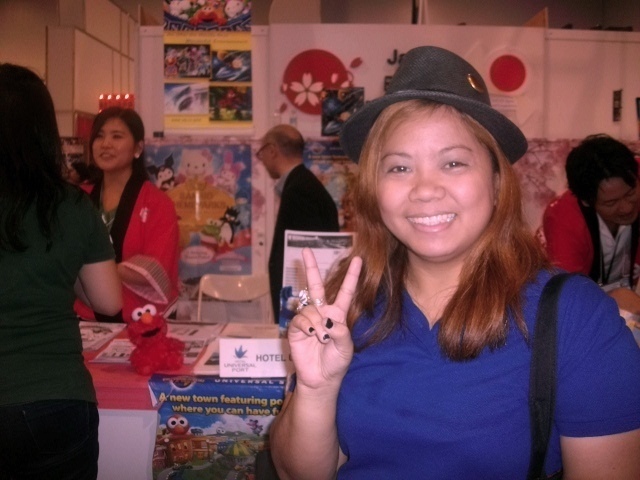 When I brought her along during the Travel Expo, she almost signed with an agency but changed her mind (again) after the computation was presented to her. Considering that she’s bringing six adult kids with her (yes, my cousin procreates really good), I think they can wing it in Hong Kong, a place known for organized transportation system and where all attractions are labeled accordingly. Presence of mind and a good sense of adventure is all the she needs to make it work and to make their trip memorable. 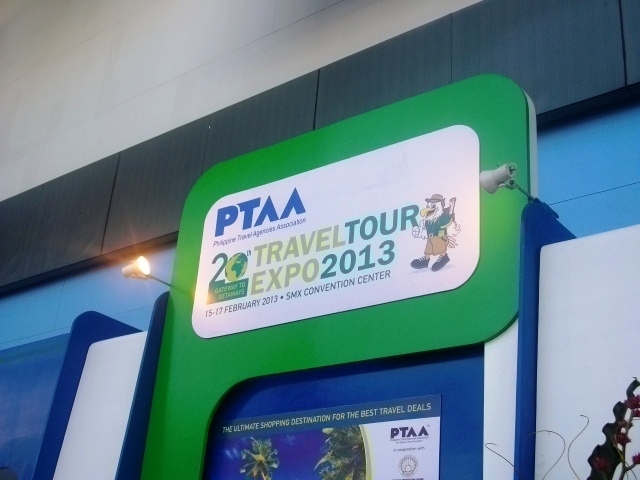 For the second year in a row, I never failed to visit the staging of PTAA’s Travel Tour Expo, held from February 15 to 17 at the SMX Convention Center at the MOA Grounds in Pasay City. 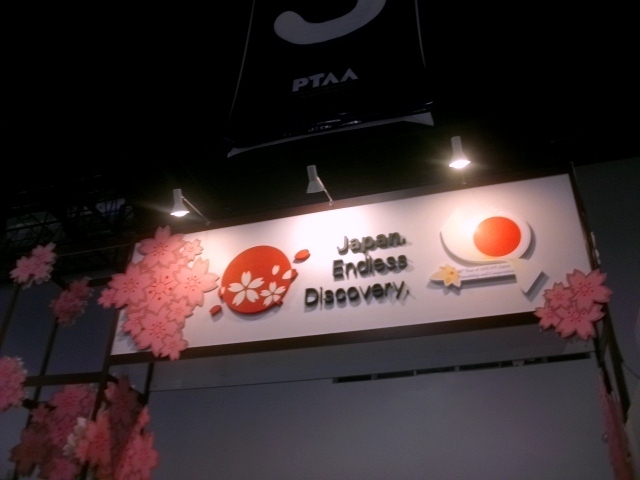 I went during the 2nd day of the 3-day exhibit. 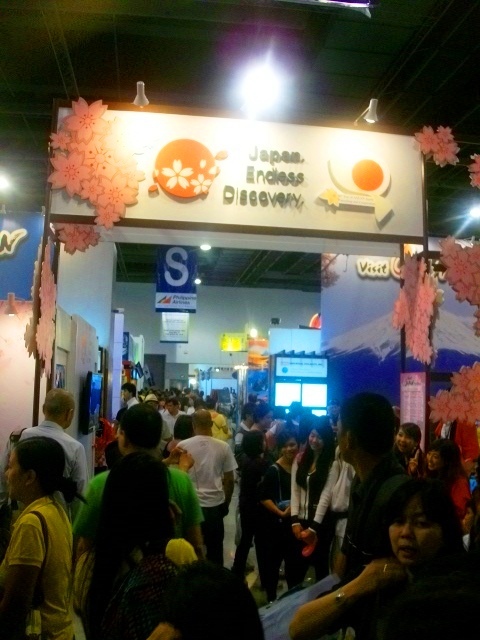 It was 1PM and the exhibition wall was packed to the rafters, people were streaming endlessly – booking land tours (saw one going for just USD92 for a 3-day, 2-night land arrangement package), queuing for plane tickets (CebPac has the longest lines) and participating on some of the games and promotional activities offered by booths. My cousin and I zeroed in immediately on the booth by the Hong Kong Tourism Board to get free HK maps and a pamphlets describing attractions, which will come handy when they visit this March. We also asked around for suitable land arrangements which they can use (they already have tickets), but truth be told — all arrangements seemed restrictive and not as cheap when you consider all the expenses in one go. Anyway, they came back again for the third day and decided to forego buying a land arrangement and ended with discounted Disney tickets instead. While studying some of the brochures I got, I noticed an advert for a Tokyo trip going for almost USD1,000 – I keep thinking that maybe I should use that as a parameter on how much I should save if I really intend to go to Tokyo before my 35th birthday. obviously — happy and excited! I’ll definitely attend the next one next year. Who knows, I might attend this time with Japan travel in mind and not just to get ideas on how much it will cost to go from point A to B. 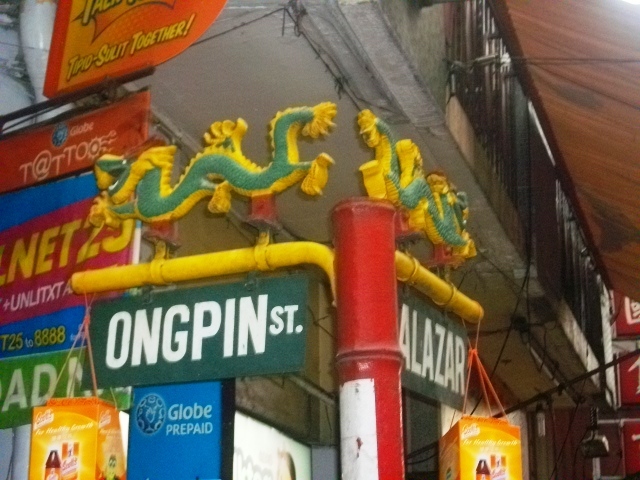 As the Filipino-Chinese community marked the beginning of the Year of the Water Snake, I dragged the unsuspecting (and long-suffering) Hubby to a visit to Manila Chinatown, said to be the oldest Chinese community in the world today. 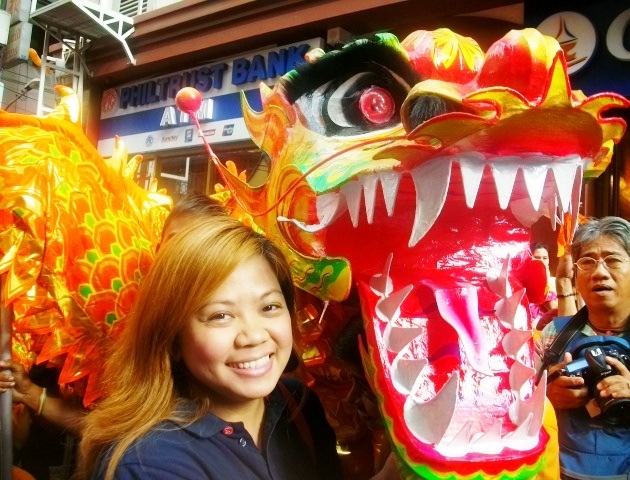 I have always been fascinated how our Fil-Chi’s celebrate the beginning of the New Year, awed by the dazzling colors of dragon dance, the amazing display of fireworks and the steep tradition and beliefs that come with it. 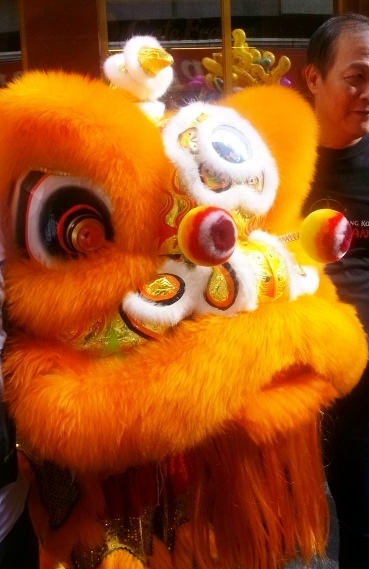 In our home, an abode of wide-eyed individuals with nary a drop of Chinese blood, Chinese New Year is always observed. We bought long-life noodles, completed our round fruits, bought sticky sweets and mum hung various lucky charms around the house. When midnight struck, we went out the house and watched our Chinese neighbors lighting up the sky with their colorful fireworks. 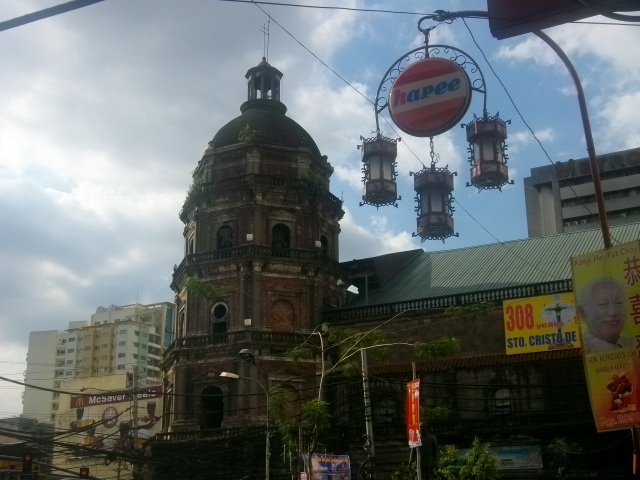 Come Sunday morning, I dragged the Hubby to ChinaTown, known locally as Binondo. 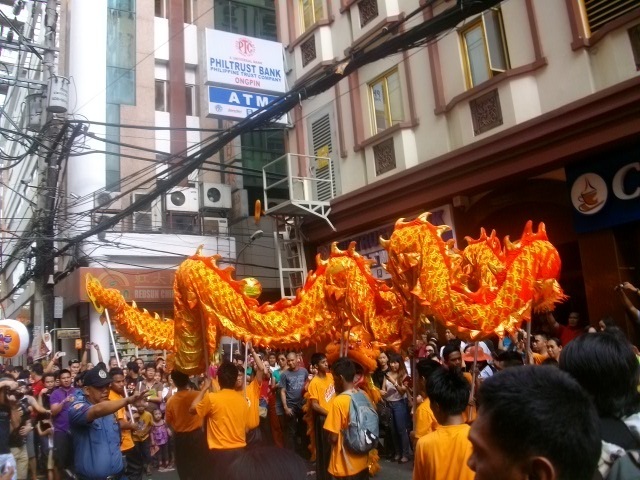 As expected, the streets were filled with people–locals and foreigners alike–who was there to catch the dragon dance, buy rice cakes and hopia from well-known Chinese deli shops and eat at the many restaurants dotting the area. And then, I finally saw it – from afar, there was a burst of color, of gold silk swaying up and down to the beat. Meanwhile, a crowd has already gathered around it, touching the long “body” as the dragon moved, chasing the ball in the air. 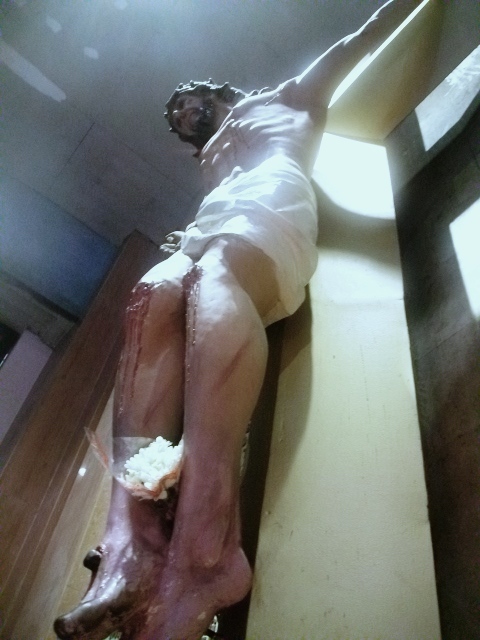 After extracting myself from the thick crowd, I made a detour to Bindondo Church and uttered my constant prayer. 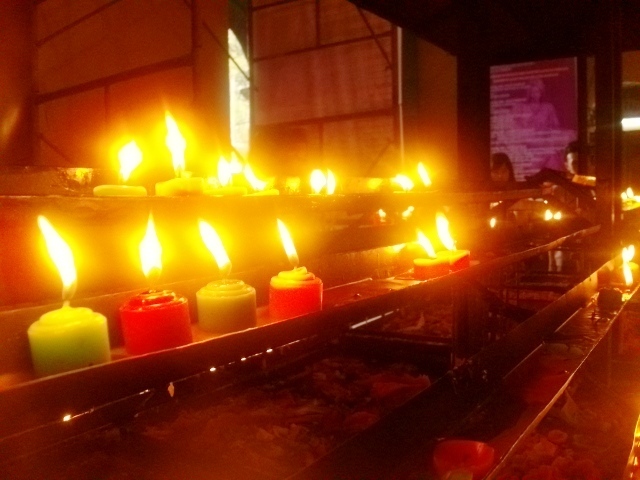 It was simply astounding: the pageantry happening outside the church gates and then the serenity inside the church as the faithful lighted candles, held on to statues and prayed, waiting for mass to begin. The “field trip” ended in a dingy restaurant — the curtains faded and the table cloth patterned with round marks where the sauce bottles were once placed. As we sat, the waitress haphazardly plopped down the menu and left without a word. 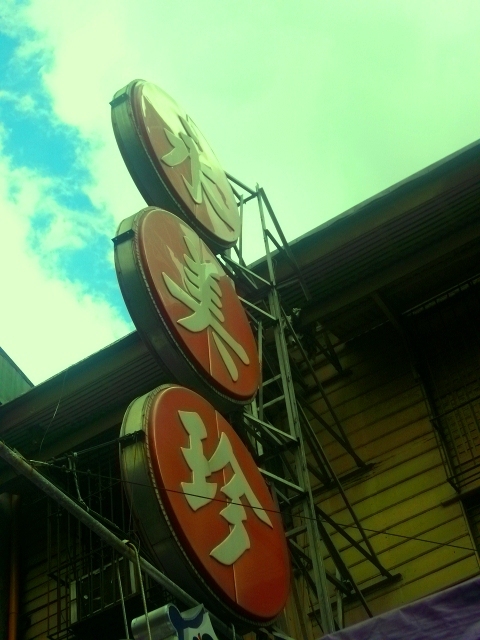 Service was intermittent and don’t expect your orders to arrive in one go, yet we had some of the best Chinese food in the metro. 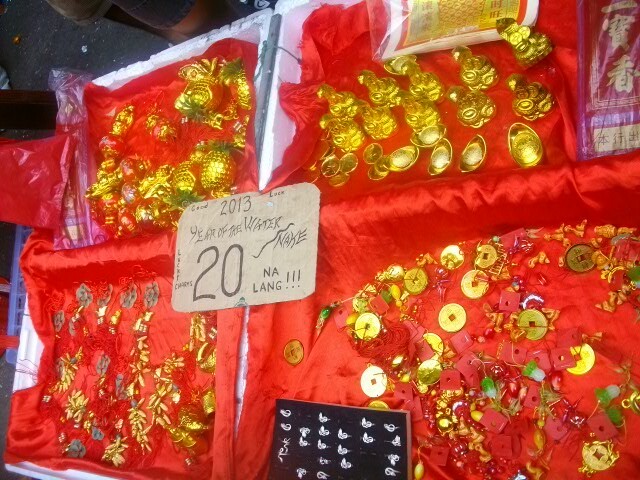 We left with round tummies, vowing to do another field trip in this part of town. After marrying the hubby, one of the first things to go were my credit cards. Aware that budgeting is not one of my greatest skills, the hubby decided to cut-off and discontinue all my cards. Unfortunately, a credit card is a very important tool for travel fiends like me — yes, even if I am pretty much always after a very good deal. A few posts back, I insinuated about getting an ePrepaid card in order to fund my online purchases like plane tickets and hotel reservations. After a while, it gets pretty tiring asking people to book your tickets for you. After choosing between two banks, I figured that it’s better to get BPI since my savings and payroll account are both from the same bank. 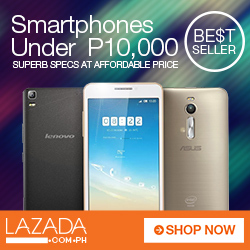 This lessens the hassle of transferring from one bank to another. I just log in using my Express Online account and voila! It’s locked and loaded and ready to use for online booking! Applying for an express card is easy. In my case, I applied online by filling out the form available at the BPI Express website. . You will need to indicate the BPI branch nearest you where they will send the prepaid card after 5 days. You will need to pay PHP500 while claiming the card — then if you have express online, apply it to said feature so that you can transfer money from your savings account to the debit card. 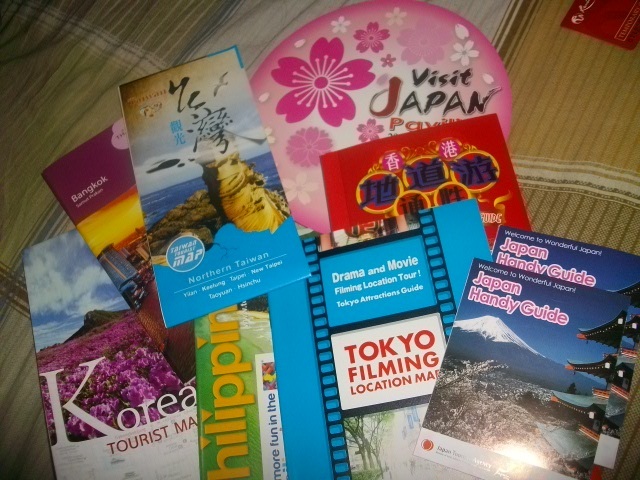 This is what I did especially with the pressing need to find and book a hotel for the upcoming Taipei trip. 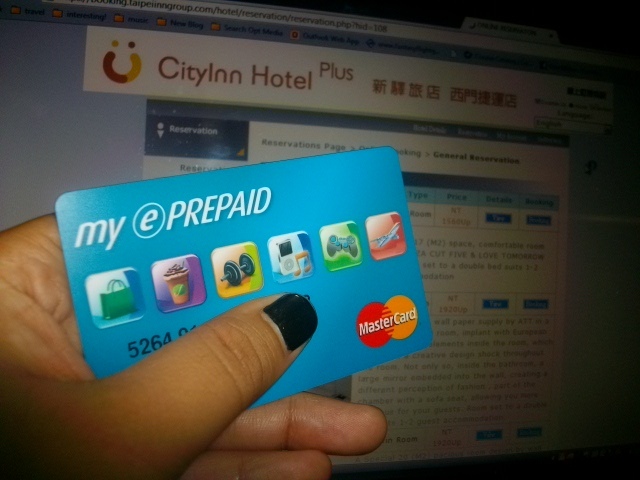 I already got the chance to use my ePrepaid Card when I chanced upon CityInn Hotel Plus on TripAdvisor. While I mentioned in one of my earlier post that I am partial to getting Keyman’s Hotel due to its proximity to Taipei Main Train station and to its marvelous Japanese rooms, I decided to go with CityInn due to its amazing room designs, its sleek interiors and the fact that it’s new. It also doesn’t help that it consistently rated high at Trip Advisor. I was actually supposed to book the CityInn Hotel III which was nearest the Taipei Main Station but a quick check on their very efficient reservations system revealed an almost filled up hotel, the same goes for its CityInn Hotel II branch. In the end, I decided to go with City Inn Hotel Plus is Ximending, the so-called Harajuku of Taipei. Cliche as they may sound — booking is as easy as 1-2-3. To confirm my reservations and in order to pay the 30% deposit, I entered my card details similar to how you do it with a credit card. Booking was immediately confirmed. After just an hour, I already had CityInn Hotel Plus calling my mobile phone long distance to confirm the reservations and arrange the transfers from airport to the city (we are arriving at 12:40 and after immigration and all that, might be able to go out the airport by 1:30AM). So, if you are the type to trawl the various websites of airlines looking for cheap deals and still wouldn’t want to get buried in credit card debt, perhaps you might be interested in getting a prepaid card. 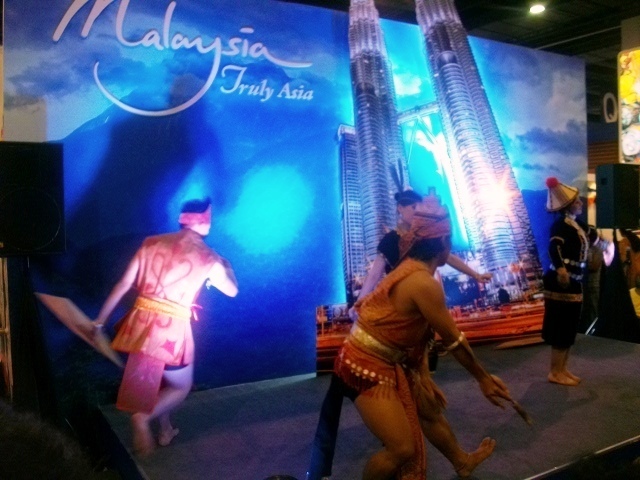 This way, we can still satiate our wanderlust yet still be responsible with out finances.